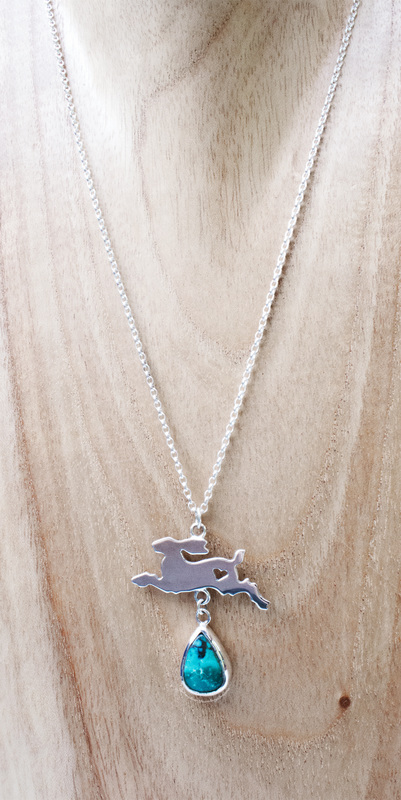 This cute hare is hand pierced from thick sterling silver and detailed with a pierced heart. 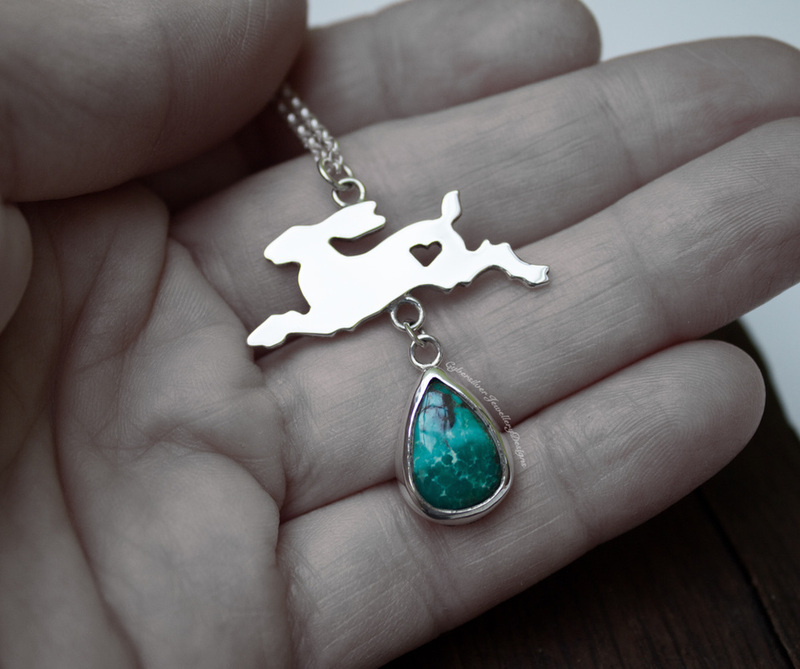 Beneath him hangs a beautiful turquoise stone in a thick silver setting. 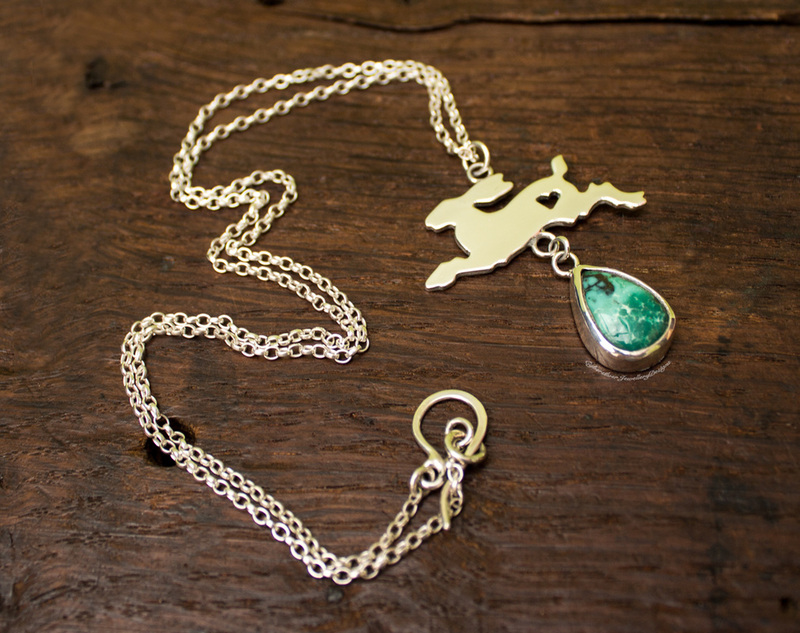 He has a polished finish and comes gift boxed.